It is a remarkable survivor of an ancient aquatic world – now a new study sheds light on how one of Earth’s oldest reefs was formed. 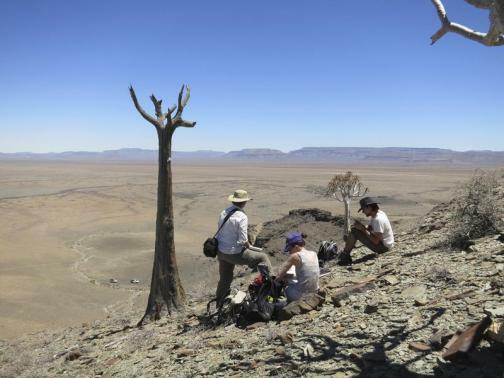 Researchers have discovered that one of these reefs – now located on dry land in Namibia – was built almost 550 million years ago, by the first animals to have hard shells. Scientists say it was at this point that tiny aquatic creatures developed the ability to construct hard protective coats and build reefs to shelter and protect them in an increasingly dangerous world. They were the first animals to build structures similar to non-living reefs, which are created through the natural processes of erosion and sediment deposition. 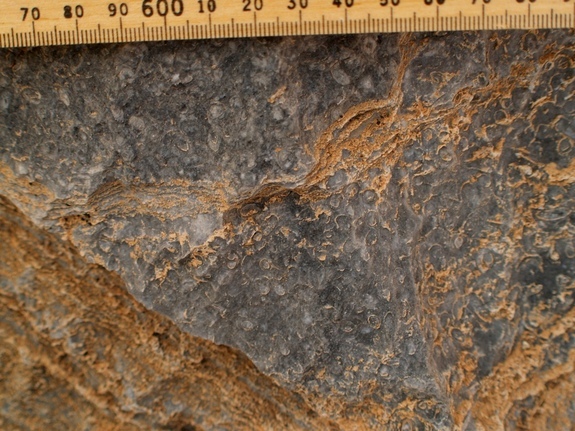 According to reports, the Cloudinia critters (white circles) may have grown either vertically from or within microbial surfaces (shown here), where the tip of the tube or cone may have served as an attachment site. 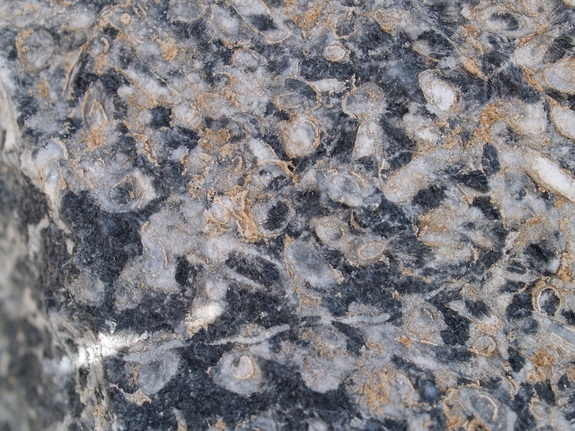 The white circular shapes on the rock show the fossilized Cloudinia animals, while the surrounding black is the natural cement they exuded long ago. The study reveals that the animals attached themselves to fixed surfaces – and to each other – by producing natural cement composed of calcium carbonate, to form rigid structures. The creatures – known as Cloudina – built reefs in ancient seas that now form part of Namibia. Their fossilised remains are the oldest reefs of their type in the world. As for why the Cloudina animals developed their ability to build reefs, the scientists suggest the organisms may have needed to protect themselves from predators. The reefs would have provided such protection. In addition, reefs provide access to nutrient-rich currents to help the animals grow in tight spaces where competition for resources was great. Cloudina were tiny, filter-feeding creatures that lived on the seabed during the Ediacaran Period, which ended 541 million years ago. Fossil evidence indicates that animals had soft bodies until the emergence of Cloudina. Findings from the study – led by scientists at the University of Edinburgh – support previous research which suggested that environmental pressures caused species to develop new features and behaviours in order to survive. And they were reef builders. 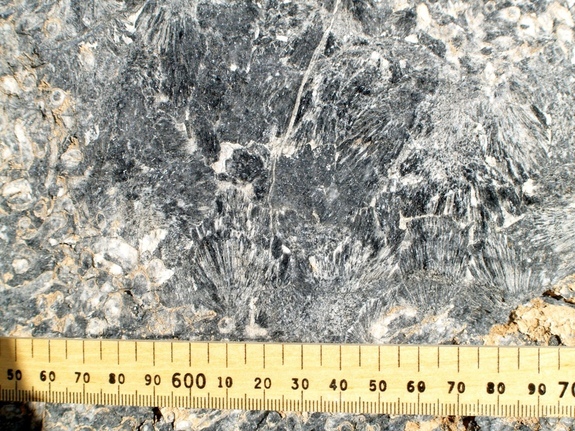 Some 548 million years ago, organisms in the Cloudina genus (white circles) produced natural calcium carbonate cement (black), which they used to attach themselves to fixed surfaces, and to one another. Researchers say animals may have developed the ability to build reefs to protect themselves against increased threats from predators. Reefs also provided access to nutrient-rich currents at a time when there was growing competition for food and living space. Scientists say the development of hard biological structures – through a process called biomineralisation – sparked a dramatic increase in the biodiversity of marine ecosystems. The researchers’ findings imply that metazoans, a group of multicellular animals, had been building reefs millions of years before the Cambrian explosion some 542 million years ago when most of the world’s animal phyla seemed to emerge. 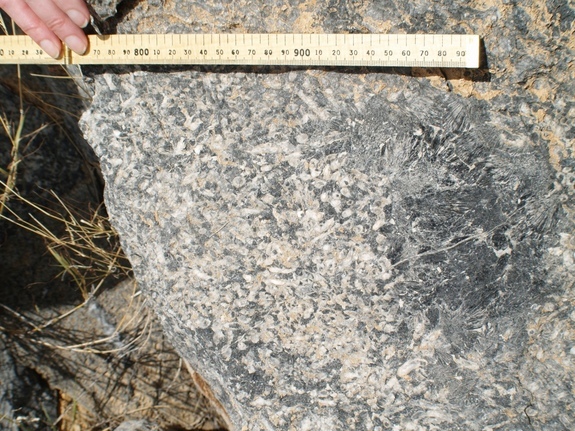 Shown here, the ancient reef discovered in Namibia, with the reef-building Cloudina animals shown as white circles and their reef-building cement shown in black. 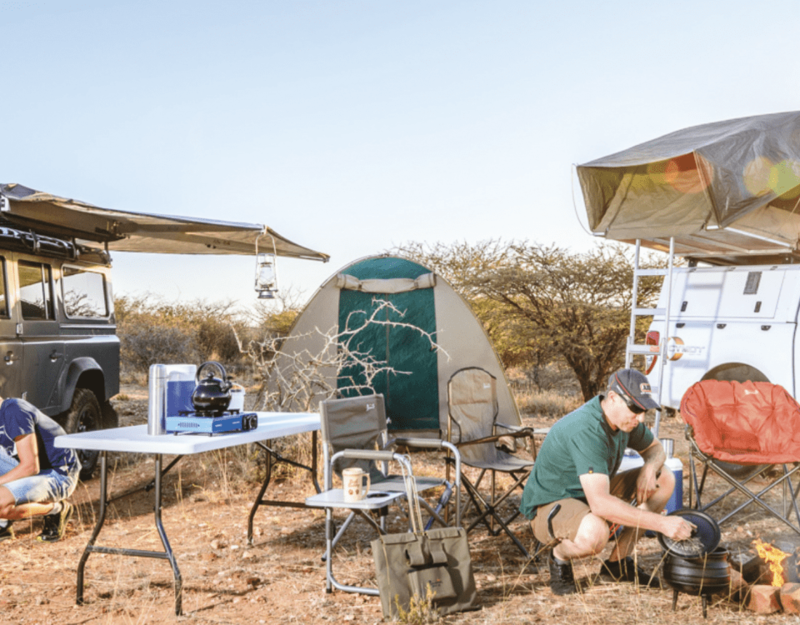 The study, published in the journal Science, was carried out in collaboration with University College London and the Geological Survey of Namibia. The work was supported by the Natural Environment Research Council, the University of Edinburgh and the Laidlaw Trust.